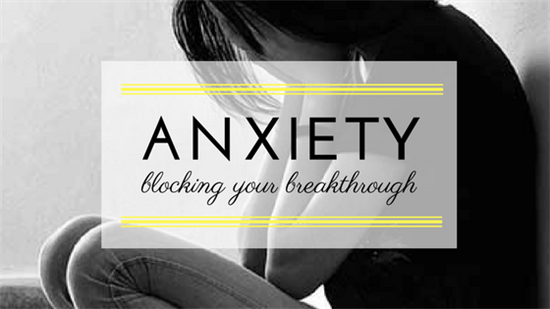 Anxiety is a natural emotion that we all experience. Many different words can describe it, for example: stress, worry, nervousness, agitation, the shakes, freaking out, uneasiness, jumpiness, butterflies, and panic. Our own experience of anxiety will depend on factors like genetics (how our parents experienced anxiety); brain chemistry (chemicals working in our brain); life events (situations we face) and personality (how we perceive and interpret things that happen to us) and the way you experience anxiety may be different from the way somebody else would. Increasing awareness of how you experience it and understanding of your thoughts and the situations that trigger feelings of anxiety, can help you in preventing and managing anxiety. Many conditions affecting adults and children today can be thought of as problems with self-regulation. The brain has become dysregulated and stuck in patterns that is not helpful. This is especially true for concentration problems, mood disorders like depression and anxiety, trauma, and sleep disorders. Together with personal therapy (Talk therapy, Cognitive behavior therapy), relaxation techniques, mindfulness training, lifestyle changes like diet and exercise and psycho-education, Neurofeedback can be utilized as a tool for training mind-body regulation skills. Hemoencaphalography (HEG) is the form of neurofeedback we use in Braingain. The aim of this is to exercise the brain by increasing blood flow to the frontal lobes of the brain. The HEG sensor is placed over the forehead. Behind this is the Prefrontal Cortex (PFC) which plays a role in executive function. This form of neurofeedback can potentially benefit any function in which the Prefrontal Cortex (PFC) plays a role, including attention, focus and concentration, purposeful behavior (like controlling impulses), mental flexibility, emotional regulation and motivation.